Position control and nanoscale motion of system components in Scanning Probe Instruments often requires the use of highly specialized inertial piezo motors. These motors require a very sudden change in voltage to overcome strong frictional holding forces between the piezo and the secondary component. This requires special high voltage amplifiers with very fast slew rates. The RHK PMC 100 Piezo Motor Controller is designed to provide such a signal and can be directed to nine different outputs to operate nine separate motors! 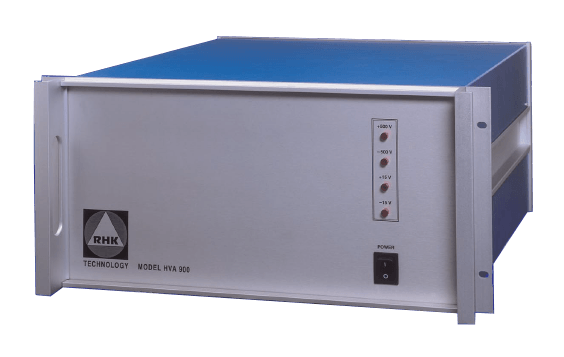 The RHK Model HVA 900 High Voltage Amplifier module is a low-noise, high-performance high voltage amplifier module designed specifically for SPM users who require higher than normal SPM operating voltages for their piezo scanners. This includes operating piezo-electric devices at cryogenic temperatures where piezoresponse is dramatically reduced, making it difficult to perform SPM experiments over a meaningful sample area. The Model HVA 900 interfaces with RHK R9 control system, providing expanded SPM scan control at low temperature through five 900V (±450V) high voltage outputs. 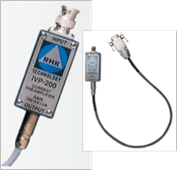 The HVA 900 is a rugged amplifier module built with special attention to low noise and high stability operation. All outputs are currently limited to prevent damage to the amplifiers. 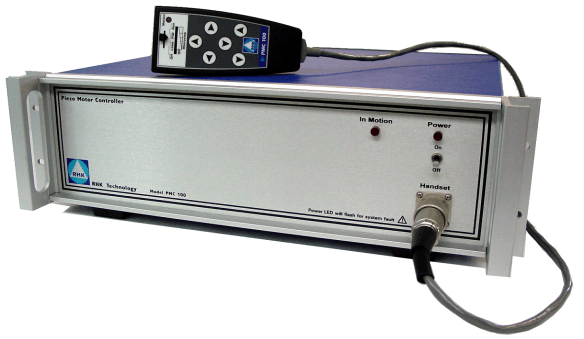 The RHK PPC 200 provides X,Y,Z coarse motion for Beetle scanners. It is also used for HV routing control for Beetle scanners. 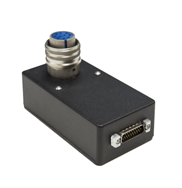 The PPC200 is a USB-controlled relay switch box that takes input voltages and divides them up and outputs them to the Beetle scan heads (it also has a Ground line). Bias-Preamp Interface Module that converts differential bias output from R9 into single-ended bias signal at scan head. Converts single-ended preamp signal from preamplifier into a differential output signal to R9. Converts differential bias output from R9plus into single-ended bias signal at scan head.